MARLBOROUGH, Mass. — The Marlborough Police Department is partaking in No-Shave November to benefit Cops for Kids with Cancer. A nonprofit organization, No-Shave November works to “grow” cancer awareness and raise funds for education, research and prevention, said the announcement. The officers who chose to participate in the 30-day campaign pledge at least a $100 to grow out their facial hair. All proceeds will go to Cops for Kids with Cancer. 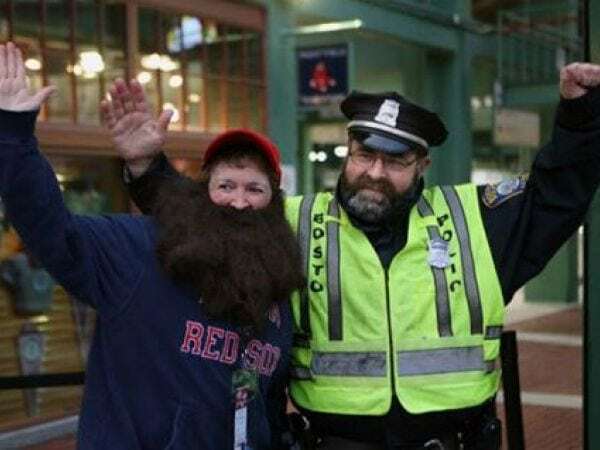 All officers must again be clean shaven on Dec. 1 by midnight, said Marlborough police. Cops for Kids with Cancer is a local charity out of Braintree that gives money to families of kids with cancer for transportation, rent, hotels, and other assistance. They have no paid employees more than 94 percent of money is given to families. Lt. Bill Coulter of the Mass State Police is chairman of the board of this group, and a cancer survivor himself. Framingham and Natick police are also participating.